Arthur Lynch is a PhD candidate in muscle physiology at the University of Limerick, Ireland. Arthur coaches here at Sigma Nutrition, heading up our powerlifting coaching program. He is an international-level powerlifter, representing Ireland at the past 2 IPF world championships. My doctor told me protein will have a bad effect on my kidneys. Is this true? The topic of high protein intake and renal safety is often cited as a major cause for concern. “Protein stresses your kidneys” or “protein will cause kidney damage” are often cited as reasons against either consuming protein supplements or having a habitually high protein diet. But is there justification behind these claims? Well… yes (kind of) and no. The vast majority of the evidence is epidemiological in nature or clinical observations. Therein lies the first problem; because these studies essentially track a large volume of subjects over time and look for associations between variables (e.g. red meat intake and microalbuminuria, a marker of renal damage (Lin et al. 2010)). However this association does not necessarily infer causation, so concluding as such is inappropriate. Much of the concern regarding protein intake and renal health stems from the Brenner hypothesis of 1982. The Brenner Hypothesis states that situations associated with increased glomerular filtration and glomerular pressure lead to renal damage and ultimately compromised function. In this context, Brenner proposed that modern ad-libitum protein intakes negatively affect renal function due to a continuous elevation of glomerular pressure and hyperfiltration, in turn leading to renal damage. However most of the data cited by Brenner to substantiate his argument was based on animal models and patients with existing renal disease. This weakens the argument as it does not indicate what would happen in the absence of pre-existing kidney issues. Adults with chronic kidney disease are recommended to follow a low protein diet (0.6-0.8 g/kg/d) to reduce the renal load. But what does the literature say with regard to high-protein intakes in people with healthy kidneys? In general there appears to be no adverse reactions at intakes up to 2.8 g/kg/d in a group of 20 bodybuilders and 17 competitive athletes from a range of different sports (Poortmans and Dellalieux 2000). Athletes in this study provided a 7 day dietary record of their habitual intake as well as blood and urine samples to test for markers of renal damage. A review paper by Martin et al. (2005) found no data within the scientific literature linking higher protein intakes with impaired kidney function in healthy, active adults. More recent evidence also suggests no adverse effects of high protein intakes in healthy, resistance training individuals (Antonio et al. 2016). In subjects consuming ~3.3 g/kg/d of protein for ~6 months, no negative effects on kidney function were found. Bear in mind, that intake is 4 times the RDA for protein, yet still no issues were noted. All in all, the literature does not support the idea that high protein intakes (>3 g/kg/d) pose any risk to the health of ones kidneys. What percentage of my daily protein intake should be whole foods vs supplements? Can you overuse a protein supplement? I feel this kind of question stems from a misunderstanding of what protein powder actually is. Consider whey protein for example. Whey protein is essentially a by-product of cheese making that has been dehydrated into a powder which can then be added to water or milk to make a protein shake. Perhaps it is the fact that it is processed that causes concern among people but there really isn’t any grounds for concern. “Overusing” a protein supplement from a physiological standpoint, is the same as asking about overusing a high-protein food source. In the case of whey or other milk-based proteins there is the obvious concern for those who are lactose intolerant but outside of that the risk is no different to consumption of any other naturally derived, food based product. There’s no evidence to suggest consuming the typical 1-2 shakes per day as part of an overall healthy and nutritious diet is in any way harmful. 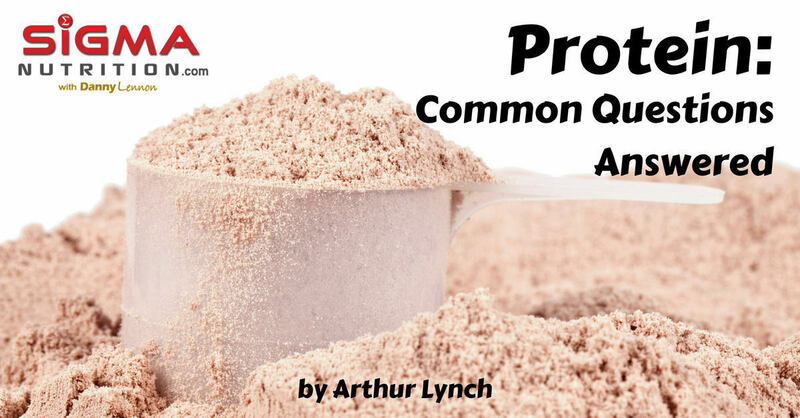 In Dr. Jose Antonio’s protein overfeeding studies (protein intakes of up to 4.4 g/kg/d), much of the extra daily protein intake is provided for subjects in the form of protein powder, with no adverse reactions reported in these studies (see here and here and here). However if you are getting all of your protein from shakes (highly unlikely scenario) that might indicate not necessarily that you’re consuming excessive amounts of protein powder, but not enough of other sources of protein which also have benefits beyond their protein content (e.g. meat, fish, eggs for example). Anyone can consume protein powder, there’s no reason to suggest they shouldn’t. However, if you were to rephrase the question slightly to “who would benefit most from consuming protein powder?” then the best candidates would be people who would find it easier to consume an appropriate amount of protein via supplementation. One particular sub-group that I would highlight is the elderly population. The elderly suffer from a now well-established phenomenon known as “anabolic resistance”, a blunted response to an anabolic stimuli (resistance exercise and/or amino acid feeding. For example, if a young individual consumes a 20 gram dose of a high quality protein, this maximises the muscle protein synthetic (building) response to feeding. 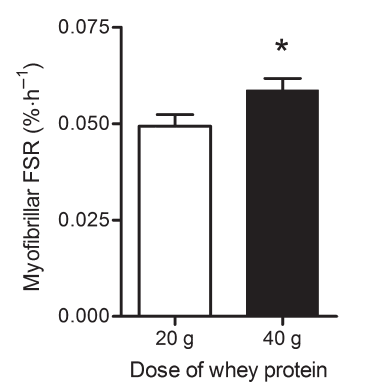 However, the same dose provided to an elderly person will not lead to maximal stimulation of muscle protein synthesis, higher protein doses are necessary in this context (see figure 1). In addition, elderly people often have a skewed distribution of their daily protein intake, with low amounts consumed at breakfast and lunch, with the majority of their daily protein intake consumed at dinner (see Figure 2). This is sub-optimal for the support of skeletal muscle health and function. Therefore it would be a good practice to supplement these lower protein meals with a protein supplement, a practice which is supported by the scientific literature (Norton et al. 2016). Is there a possibility I could fail a drug test by using protein supplements? In short, yes. But not because protein in and of itself is a drug or a banned substance. Remember protein is a natural, food derived compound. However, protein powder can be susceptible to contamination with other substances that are banned during its production, particularly by less reputable companies. So for example, if the company that produces a particular protein supplement also happens to produce pro-hormones, then contamination of the protein supplements is a possibility. For more on this topic see a recent review paper by Martinez-Sanz et al. (2017). According to Maughan (2013) the risk for unintended doping due to consumption of protein powders is very low however. And to help minimise the risk even further it’s a good idea to consume protein supplements that have been batch tested for banned substances, for example those carrying the Informed Sport logo (note: for a list of the products that have this approval check here). Due diligence should be carried out on any product an athlete is consuming, especially if they compete in a sport where they will be tested under anti-doping protocol. How much should be consumed per meal to maximise muscle growth/repair? Current per meal recommendations for protein intake are between 0.25-0.4 grams of protein per kg of body mass per meal (Morton et al. 2017; Stokes et al. 2018). So if you weigh 80 kg for example, you’re looking at between 20 and 32 grams of high quality protein per meal. Beyond that is unlikely to provide additional benefit but shouldn’t be seen as harmful. Elderly populations should aim for the higher end of that spectrum. Do I always have to have a protein shake post workout? No. Food will absolutely suffice. However, given the convenience of consuming a protein shake post-workout this may be an appealing alternative to whole food for some people. But both are perfectly fine. I’ve heard you can only absorb a certain amount of protein (usually 20-30 grams) in one meal and the rest is “wasted”. Is this true? This is quite a commonly asked question and stems from some misleading information and bad interpretation of relatively recent research literature. In short, your body can absorb well in excess of the 20 or 30 grams of protein per meal “limit” that is commonly cited. These commonly-cited figures are in reference to the anabolic effects of protein within muscle. What do I mean by that? Well essentially there is a threshold dose of protein that maximises the muscle building effects possible from that meal, beyond which the amino acids derived from that meal will not influence muscle building or muscle sparing effects, instead they will be diverted towards other fates (oxidation, gluconeogenesis, used for other tissues within the body etc.). For more on this please refer to episode 123 of Sigma Nutrition Radio with Dr. Donald Layman. The most commonly cited “absorption limit” is 20 or 30 grams of protein per meal. This video is an example of the former recommendation which I can only speculate is extrapolated from the research of Moore et al. (2009), who found that a 20 gram dose of egg albumin protein maximized the muscle protein synthetic response to feeding following resistance exercise of the quadriceps. 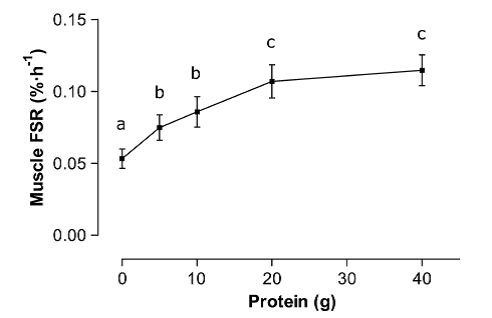 The effects were not significantly increased by increasing the protein dose to 40 grams (see figure 3). Figure 3 – Mixed-muscle protein synthesis in response to feeding graded doses of egg albumin protein. No statistically significant differences were found between feeding of 20 and 40 grams of protein in this paradigm (Moore et al. 2009). However extrapolating this to all populations and scenarios may be somewhat inappropriate. For example, subjects in this particular study were young, males with a mean body mass of 86 kg. Larger or smaller individuals may require more or less protein per meal than this 20 gram recommendation, as outlined above. In addition, if you perform whole body resistance exercise (as opposed to the isolated lower body, quadriceps dominant training protocols that are most often employed in studies of acute resistance exercise and protein feeding), this further increases post-exercise protein requirements (McNaughton et al. 2016) (See figure 4). Furthermore, as discussed above, aging influences the amount of protein required on a per meal basis. Finally, protein source influences how many grams of protein are required to maximise the anabolic effects of protein feeding in muscle. For a more in depth review of this topic, please see Schoenfeld and Aragon (2018). The aim of this short article was to provide evidence-backed answers to common questions and concerns regarding protein intake. I hope you enjoyed the article and found this information useful. Antonio, J., Peacock, C.A., Ellerbroek, A., Fromhoff, B. and Silver, T. (2014) ‘The effects of consuming a high protein diet (4.4 g/kg/d) on body composition in resistance-trained individuals’, Journal of the International Society of Sports Nutrition, 11(1), 19. Antonio, J., Ellerbroek, A., Silver, T., Orris, S., Scheiner, M., Gonzalez, A. and Peacock, C.A. (2015) ‘A high protein diet (3.4 g/kg/d) combined with a heavy resistance training program improves body composition in healthy trained men and women–a follow-up investigation’, Journal of the International Society of Sports Nutrition, 12(1), 39. Antonio, J., Ellerbroek, A., Silver, T., Vargas, L., Tamayo, A., Buehn, R. and Peacock, C.A. (2016) ‘A high protein diet has no harmful effects: a one-year crossover study in resistance-trained males’, Journal of nutrition and metabolism, 2016. Brenner, B.M., Meyer, T.W. and Hostetter, T.H. (1982) ‘Dietary protein intake and the progressive nature of kidney disease: the role of hemodynamically mediated glomerular injury in the pathogenesis of progressive glomerular sclerosis in aging, renal ablation, and intrinsic renal disease’, New England Journal of Medicine, 307(11), 652-659. 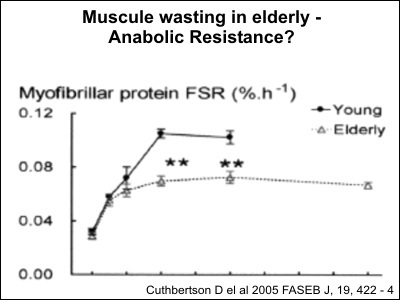 Cuthbertson, D., Smith, K., Babraj, J., Leese, G., Waddell, T., Atherton, P., Wackerhage, H., Taylor, P.M. and Rennie, M.J. (2005) ‘Anabolic signaling deficits underlie amino acid resistance of wasting, aging muscle’, The FASEB Journal, 19(3), 422-424. Layman, D.K. (2009) ‘Dietary Guidelines should reflect new understandings about adult protein needs’, Nutrition & metabolism, 6(1), 12. Martínez-Sanz, J.M., Sospedra, I., Ortiz, C.M., Baladía, E., Gil-Izquierdo, A. and Ortiz-Moncada, R. (2017) ‘Intended or Unintended Doping? A Review of the Presence of Doping Substances in Dietary Supplements Used in Sports’, Nutrients, 9(10), 1093. Maughan, R.J. (2012) ‘Quality Assurance Issues in the Use of Dietary Supplements, with Special Reference to Protein Supplements, 2’, The Journal of nutrition, 143(11), 1843S-1847S. Macnaughton, L.S., Wardle, S.L., Witard, O.C., McGlory, C., Hamilton, D.L., Jeromson, S., Lawrence, C.E., Wallis, G.A. and Tipton, K.D. (2016) ‘The response of muscle protein synthesis following whole‐body resistance exercise is greater following 40 g than 20 g of ingested whey protein’, Physiological reports, 4(15). Martin, W.F., Armstrong, L.E. and Rodriguez, N.R. (2005) ‘Dietary protein intake and renal function’, Nutrition & metabolism, 2(1), 25. Norton, C., Toomey, C., McCormack, W.G., Francis, P., Saunders, J., Kerin, E. and Jakeman, P. (2015) ‘Protein Supplementation at Breakfast and Lunch for 24 Weeks beyond Habitual Intakes Increases Whole-Body Lean Tissue Mass in Healthy Older Adults–3’, The Journal of nutrition, 146(1), 65-69. Poortmans, J.R. and Dellalieux, O. (2000) ‘Do regular high protein diets have potential health risks on kidney function in athletes?’, International journal of sport nutrition and exercise metabolism, 10(1), 28-38. Schoenfeld, B.J. and Aragon, A.A. (2018) ‘How much protein can the body use in a single meal for muscle-building? Implications for daily protein distribution’, Journal of the International Society of Sports Nutrition, 15(1), 10. Stokes, T., Hector, A.J., Morton, R.W., McGlory, C. and Phillips, S.M. (2018) ‘Recent Perspectives Regarding the Role of Dietary Protein for the Promotion of Muscle Hypertrophy with Resistance Exercise Training’, Nutrients, 10(2), 180.